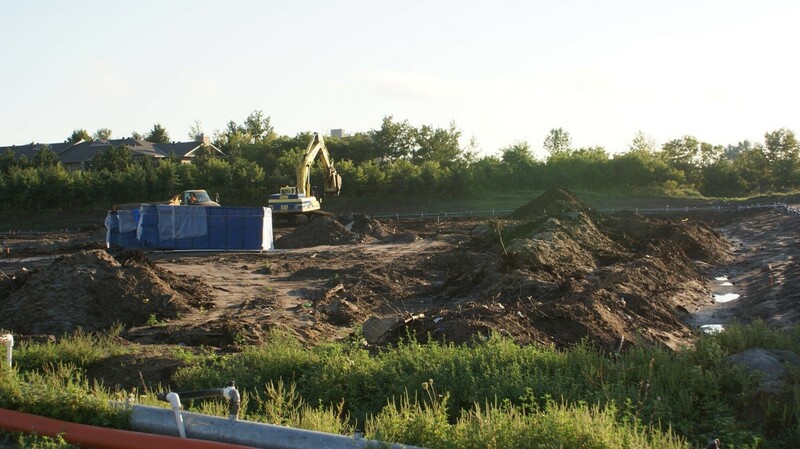 In 2010 the City of Barrie called a tender for soil remediation and rehabilitation of their property at the Operations Centre on Ferndale Drive. As a result of the site being used as a snow dump for many years it contained a significant quantity of soil that was considered contaminated with salt. 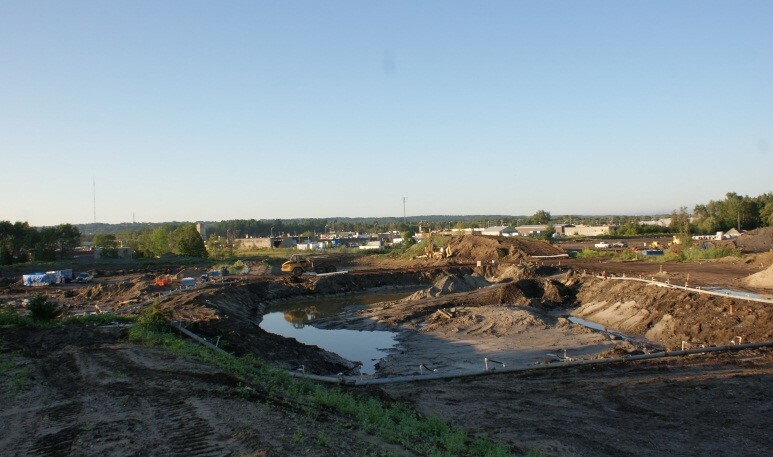 There was over 70,000m3 of earth excavation to be moved and the contaminated material was required to be sorted and left on site. Efficient coordination and effective communication with the City of Barrie public works staff was important to allow them to keep the operations centre operating in a safe manner. 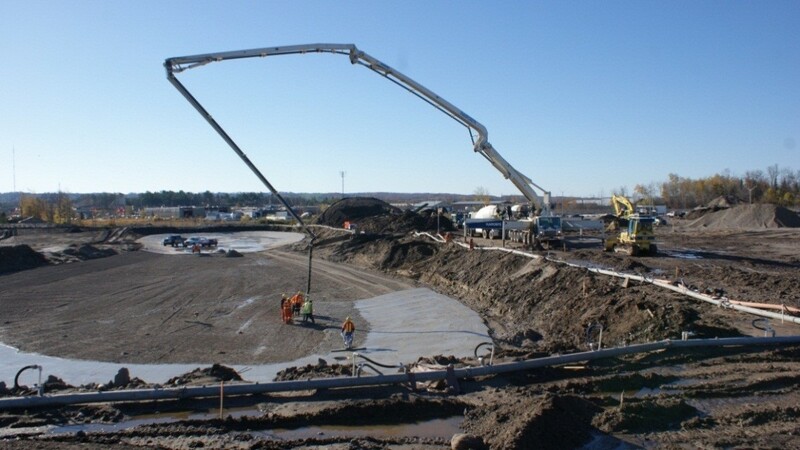 The project included a 1350mm concrete storm pipe, a structural concrete truck wash bay, 40000mt of Granular and 8,000mt of Asphalt. There was also a significant SWM Pond c/w landscaping. Georgian Paving completed this complex project on time and on budget resulting in a very satisfied customer.